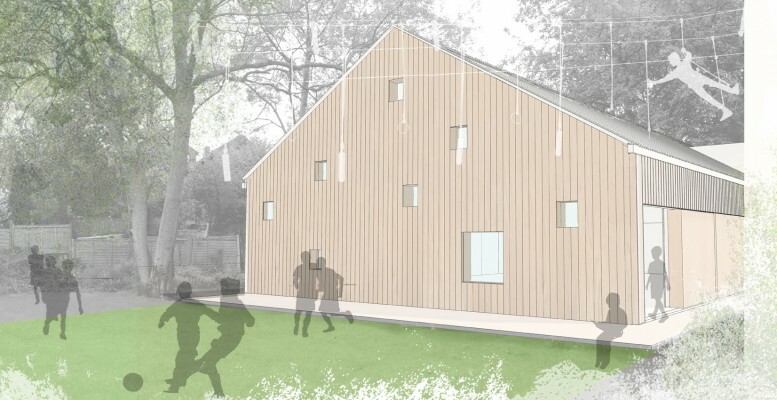 This project is for a new scout hut in the village of Danbury, Essex. 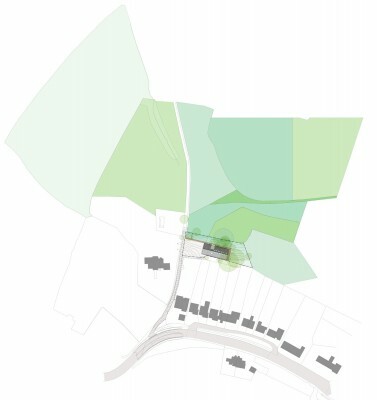 The site is down a steep track and benefits from a number of large oak trees overlooking open fields and the mature Belhill Woodland. In order to maximise site area the building mass is positioned hard against the southern boundary embankment, forming part of a new retaining wall along this edge. 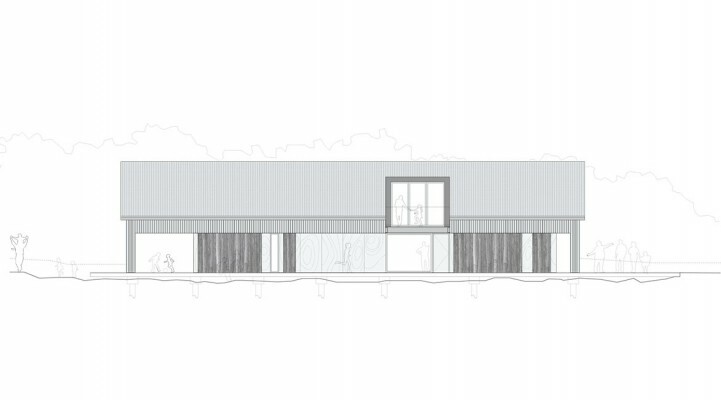 The building opens to the landscape along its northern elevation. 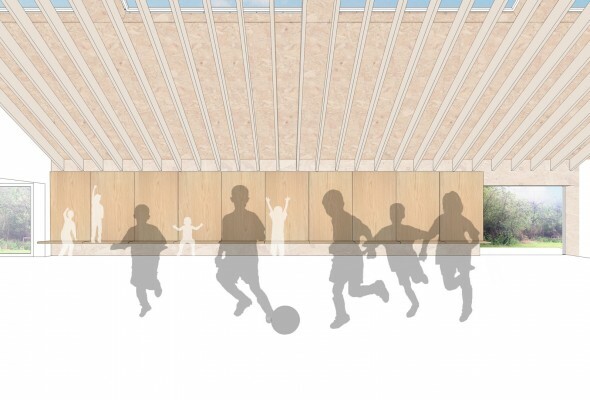 The main entrance and access from the hall provide a direct connection between the lobby and activities within the hut to its woodland setting. 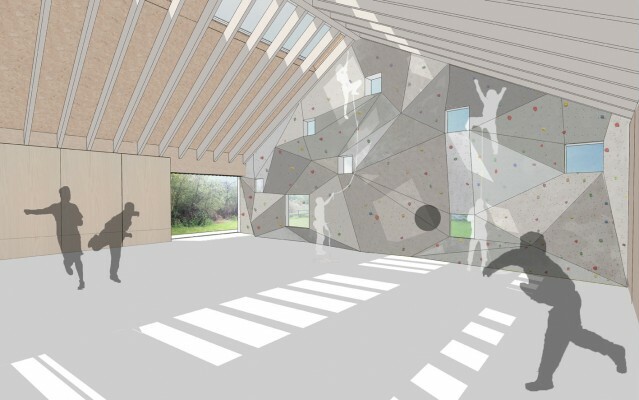 An internal climbing wall is integrated into the eastern gable end, with small square windows playfully positioned within the facade, offering intimate glimpses of the surrounding landscape beyond. 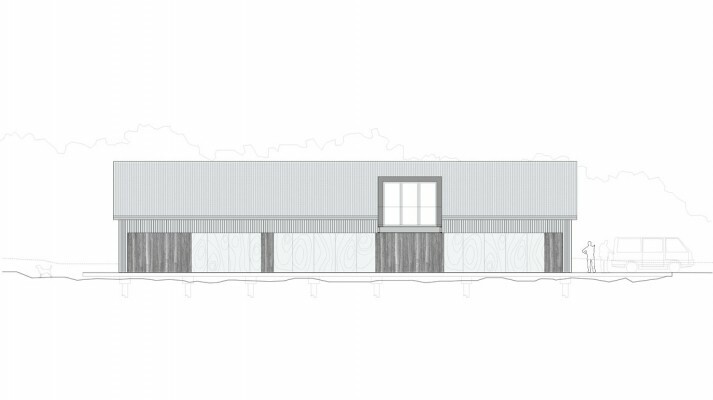 Large sliding shutters are proposed along the northern elevation, which when closed, secure the ground floor and protect the building from vandalism. When occupied, the shutters can be opened, revealing the glazed main entrance and passages directly into the hall or storage area. 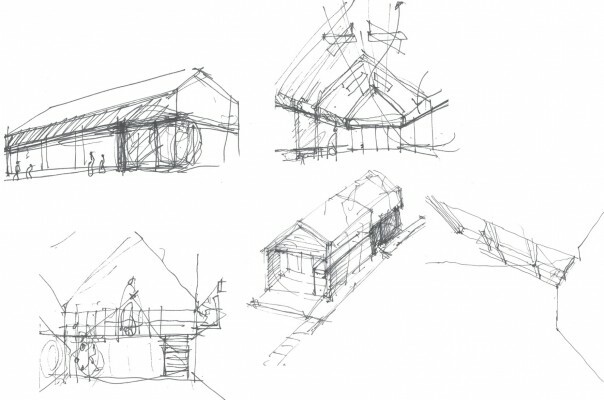 These different configurations create a dynamic building façade that changes with the use of the building, opening and closing to the woodland beyond.